Many industries are now focused on the “triple-bottom-line” of balancing economic, environmental and social dimensions of sustainability — addressing the concerns of both internal and external stakeholders: the physical environment, job security, workplace environment for employees, relationships with community and the ability of business to remain viable and profitable. The goal is to make sure future generations are not negatively impacted by decisions we make today. Let’s explore what motivates sustainability in the wine industry around the world. The sustainability performance of the wine industry does not receive as much media coverage as some other industries. Nevertheless, environmental stewardship in winegrowing–responsible use of persticides and herbicides, fertilizers, management of scarce water resources, soil erosion, and solid and organic waste, in addition to the overuse of of available tracts of land– has received much attention within the industry itself. Many wines have been produced and sold as certified organic or biodynamic wines. 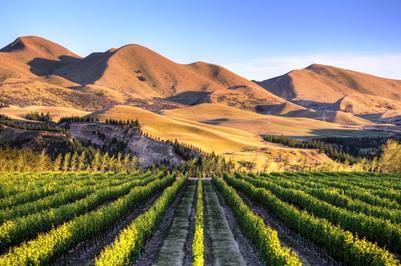 Many external factors motivate sustainability in the wine sector, including effects of the environment on the winemaking process and the effect climate change can have on crops. Different varieties of grapes used for winemaking must be grown within certain average temperature margins in order for them to achieve adequate maturity. My work takes me to wine regions around the world where I have had the opportunity to meet with winemakers and taste a selection of their wines, all produced sustainably. In the Pauillac appellation of Bordeaux, Pontet-Canet has one of the largest productions of any classified growth in the Medoc. 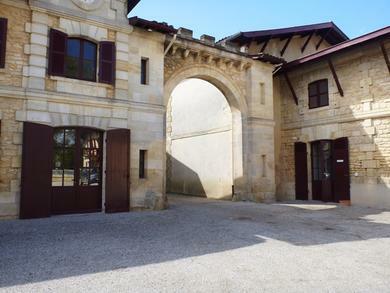 Grapes are harvested by hand at Pontet-Canet. Jean Michel Comme, Technical Director of Chateau Ponet-Canet is following a biodynamic approach to produce his wines. This is more than a program or technique,” he said. It’s a philosophy of life, a vision of nature. It doesn’t compete with nature. When there is a problem with the vine, we need to know why the fungus erupted and became a disease. We need to understand the disease and protect the plant, not just kill the disease. Biodynamic is active and efficient and improves the quality of the grape and therefore of the wine, allowing you to make more money. Like many Bordeaux producers, Andre Lurton has its own well-established sustainability program involving balanced fertilization, biodiversity preservation, water management, health and safety and employee communications. In addition, it has joined the recently launched 1st Association of EMS for Bordeaux wines, a unique program of cooperation and shared risks among 24 Bordeaux producers. 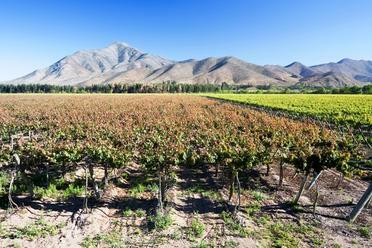 Elqui Valley is Chile?s northernmost commercially viable wine-producing valley. It has long been known for its table grapes, papayas and other fruits, but it has recently getting attention for its world class Syrah and Sauvignon Blanc. This journal entry was the first in a series on sustainability in the wine industry. Check back often, as I’ll continue to share insights on sustainable wines and how consumers can become more aware of this “green” trend in wine. I’ll also introduce some high quality and great tasting wines that are sustainably produced and share the stories of the winemakers’ commitment to these growing practices.